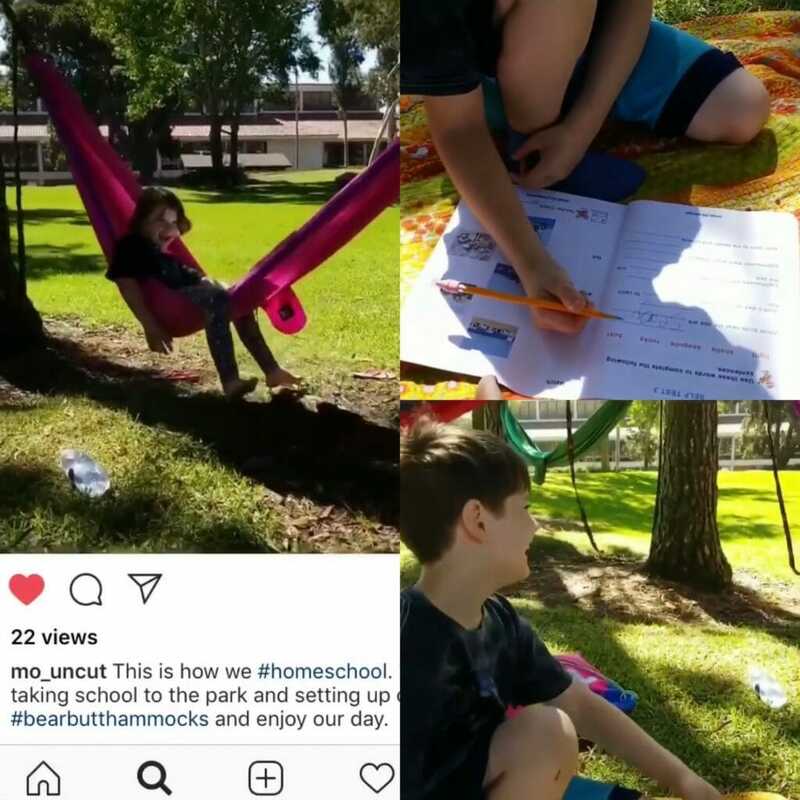 At some point on the homeschool journey, many parents make the mistake of forgetting that homeschooling does not need to look like public school. In fact, many of you probably stopped sending your child to a public or private school because something about traditional schooling wasn’t working. Gone are the days of forcing your squirmy child to sit still at a metal desk. Where does your child focus the best? Under the table? Dancing at a desk? Laying half on the couch and half on the floor? More power to you! Don’t waste your energy forcing your child into a seat that replicates those at a traditional school. You took your child out of school for a reason. So take them out! Nature is the only classroom where the curriculum is included. Take advantage of the great outdoors or find other exciting places to turn into impromptu classrooms. Libraries and historical sites are some of our favorites! Your curriculum is not set in stone. 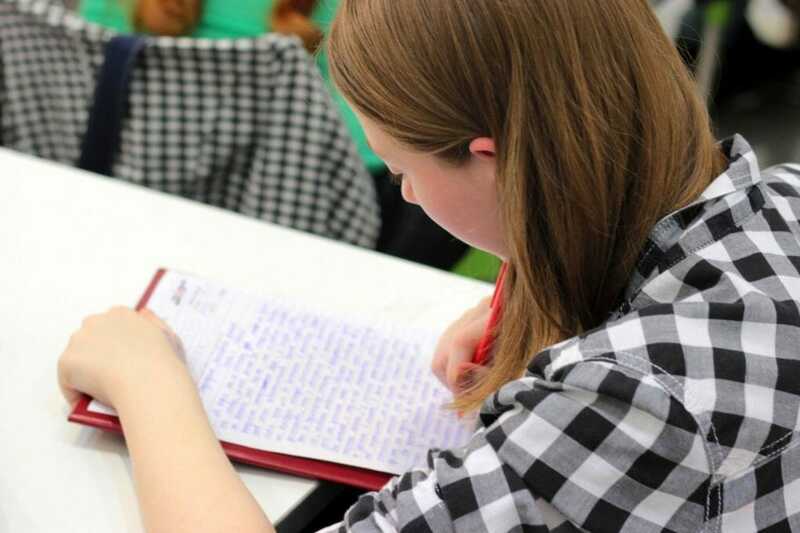 Thousands of dollars are poured into curriculum at public school, so even if that curriculum becomes outdated or proves ineffective, kids are stuck with it. Curriculum changes are slow and bureaucratic, but not at your homeschool! The benefit of buying homeschool curriculum year by year (or even unit by unit) is that you are free to try new things if something isn’t working. Pick and choose by subject, by grade, and especially by child. You are not bound till-death-do-you-part to a curriculum. Don’t be afraid to try new things, especially if something isn’t working. It might be shocking to hear, but 8 hours a day for school is not a magic number. Traditional schools are 8 hours long to conform to the adult work day schedule, but in most cases, that doesn’t apply to you. That means your hours of schooling will likely be much different than a traditional school. 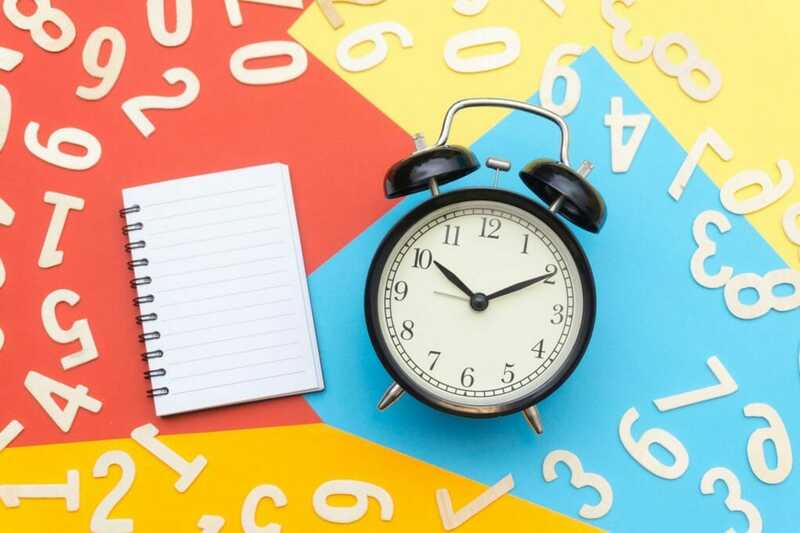 Of course, it is important to meet your state’s requirements for the number of learning hours, but if you want your homeschooling to start at 11 a.m. instead of 8 a.m., go for it! How about a half day on Friday? You got it! After the gloomy months of winter, many homeschool parents describe a period that some call the homeschool slump. The excitement of the holidays has long since fizzled out, and depending on where you live, the winter spent inside has possibly made you go a little stir crazy. No matter if you are a first-time homeschool parent or if you’ve been doing it for years, you may struggle with finding motivation during this slump, so here are a few ideas for how you can bring new life to your homeschool this spring! Depending on where you live and what snow-pocalypses you may have had to endure, this one might look a little different, but the idea is the same: get out of the house! Schedule field trips to museums, local service organizations, or even just to the library. A change of scenery can do wonders for inspiration during a slump. If you find that you are struggling more than your kids during a homeschool slump, embrace the wonder of independent work. To encourage the natural love of learning, consider your child’s passions, and depending on the age, assign a project that requires a little bit of work over several days to cover a topic in-depth. You can also assign independent reading to nurture a love for a particular subject. For younger school-aged children, consider implementing mandatory alone time for play. It’s amazing the creative things children can come up with when they are given the time to become bored. Self-paced curriculum like LIFEPAC and Monarch online curriculum are also amazing for letting your child explore subjects without requiring lesson planning on your part. Find strength in your community. As more and more things go digital, it’s easy to convince yourself that you are part of a community just because you follow a certain Facebook group, blog, or Instagram account. 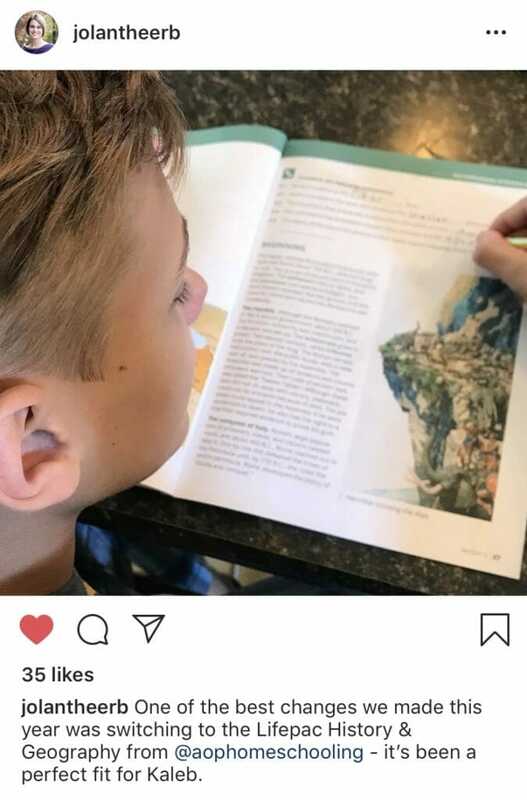 While we love when our homeschool families connect with our community on social media, it is no substitute for good, old-fashioned fellowship where hurting and struggling and real humans gather together to give support, even if that means just having a moment where yours aren’t the only eyes that need to watch your kids. Make time to connect with other homeschoolers in your area or invite family members, especially older family members, to be a part of your homeschooling. Intergenerational learning is an incredible blessing for those who have that availability. Take some time—maybe when your child is doing independent work—to remember why you’re doing this. During the homeschool slump, it’s easy to question if homeschooling was the right choice or even to give up on yourself as a teacher. Remember that you have everything you need to be the best teacher your child could ever have. You chose to homeschool for a reason. What was it? Remember that reason and refocus on the bigger picture. If you need some encouragement or assurance that homeschooling is the best option for your child, check out our workshop from HSLDA’s Mike Donnelly as he makes his compelling case for homeschooling. When you homeschool in a city named for a great American patriot, it’s only natural to love teaching and learning history. 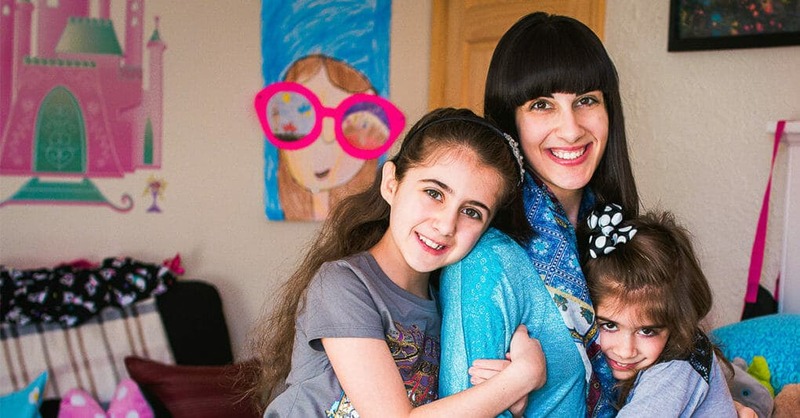 That’s exactly the case for Caroline Belliveau of Revere, Massachusetts, who has homeschooled her two daughters with Alpha Omega Publications ever since her oldest daughter started kindergarten. The oldest Belliveau girl uses Monarch online curriculum, while her youngest daughter is using LIFEPAC worktexts until she reaches 3rd grade when she can transition online to Monarch. 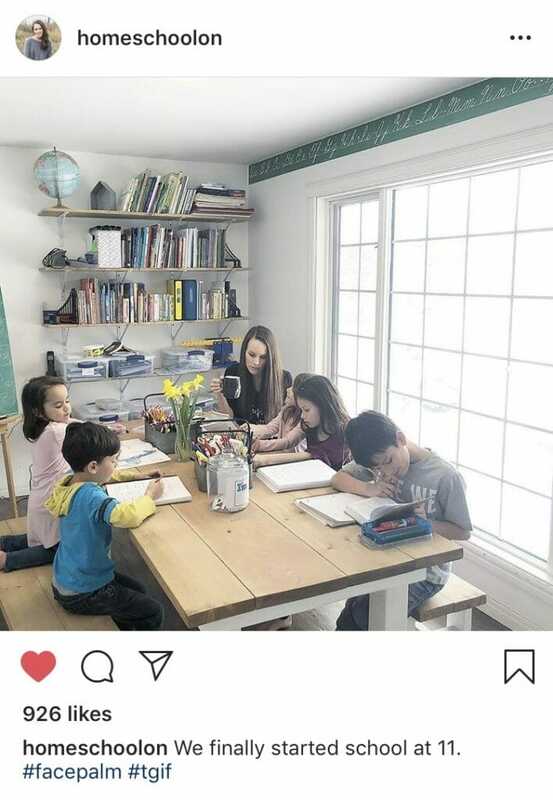 With six years of homeschooling experience under her belt, Caroline Belliveau took a few minutes to answer five questions about why she loves homeschooling and using Monarch curriculum. Q: Why did you choose to homeschool instead of enrolling your children into either a public or private school? A: We value staying home as a family and being able to work our values into the curriculum. I’m able to give my daughters one-on-one attention, and we’re able to take school at our own pace. It makes school less stressful and more enjoyable. Q: Why did you decide to use Monarch as opposed to other curriculums available? A: I knew I wanted to homeschool, so I Googled homeschooling and AOP was the first company to come up. I looked around a little, but I made up my mind pretty much in the beginning. AOP has a really, really good support system, and Monarch offers a large variety of subjects. Q: What do you like best about Monarch online homeschooling curriculum? A: The flexibility is probably my favorite part. We’re able to do a lot more. We can go to a museum on a regular weekday, then make up the school day another day. There have also been times we’ve gone on trips and they’ve been able to do that, which they wouldn’t have been able to do in a regular school. Q: Do your girls have a favorite subject they like to learn? A: My girls really like science and history. Those subjects are my favorite, too. They were my favorites in school. Q: What’s the best way to learn more about Monarch? A: One of the most exciting things about Monarch is that everyone has an opportunity to do a 30-day trial of Monarch to see if you fall in love with it as much as we did. All you have to do is visit DiscoverMonarch.com and use the promo code MON30TTD. When Jennifer Wilging’s only son Tyler was diagnosed with syringomyelia (sih-ring-go-my-E-lee-uh), a progressive spinal cord disease, she knew there were going to be many changes ahead in their lives. Although Tyler had to give up things he loved like competitive gymnastics and trampolines, Jennifer didn’t know at the time how much they would both learn to love homeschooling. 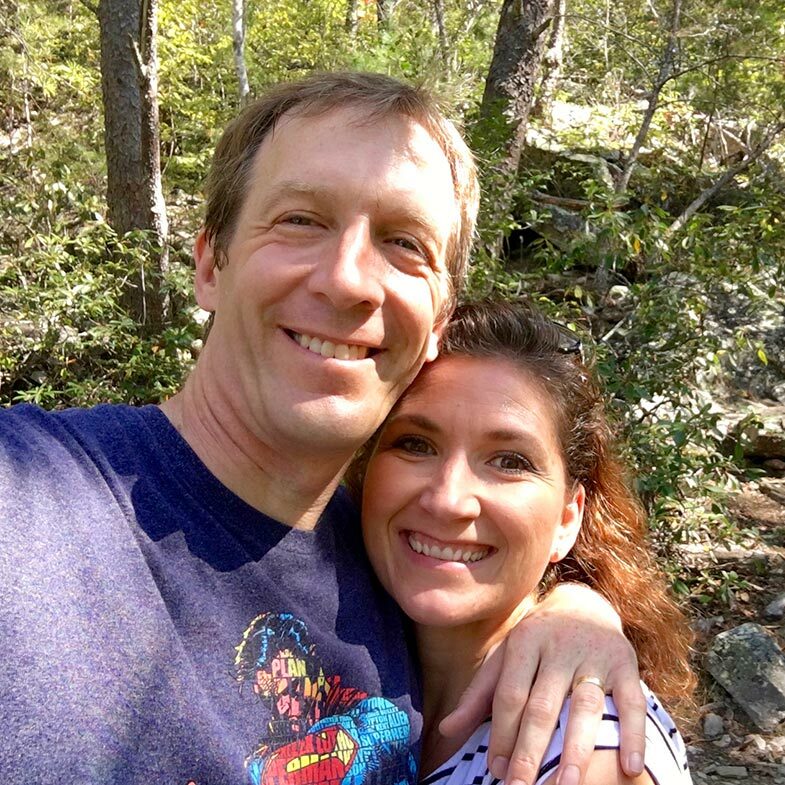 After her first full year of homeschooling , Jennifer answered five quick questions about their on-the-go lifestyle and what she loved about using Alpha Omega Publications’ LIFEPAC curriculum. Q: Why did you choose homeschooling? Q: Why did you decide to use Alpha Omega Publications? A: We wanted to be able to homeschool on the road without missing school. We’re on the road a lot for doctor appointments, and the LIFEPAC worktexts are really easy to just throw in a bag and take with us. Q: What do you love about LIFEPAC? A: LIFEPAC is so easy, and you don’t have to worry about anything. The worktexts go in order with how they’re supposed to be taught. You don’t have to piece together a whole curriculum. The progression of learning is really easy and well thought out, especially in math. I would have been lost without it. Q: Besides curriculum, what other methods of learning do you use? A: Field trips. When we are out and about, we try to experience everything we can. We do field trips with just us, as well as with other homeschool groups. Q: What are your favorite LIFEPAC subjects? 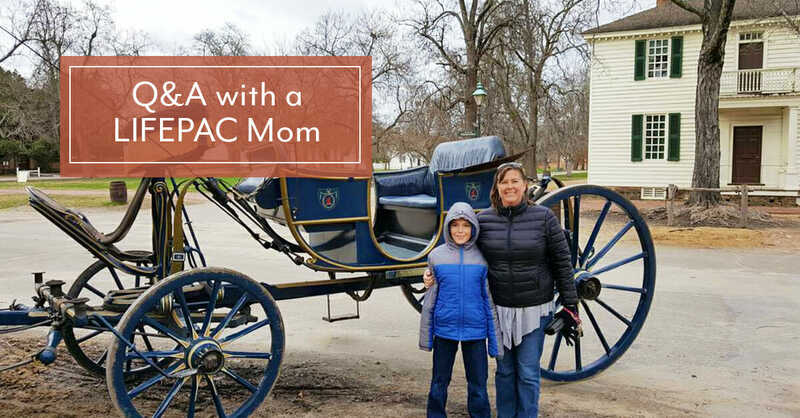 A: My son is very good at math, and I also really enjoy LIFEPAC History & Geography. I felt like they didn’t teach any of the material in public school, but LIFEPAC goes into so much detail. With all the freedom that comes with homeschooling, it’s valuable to incorporate some structure into your home to help your child learn skills like time management and responsibility. A great way to do this is by using a daily responsibility chart. 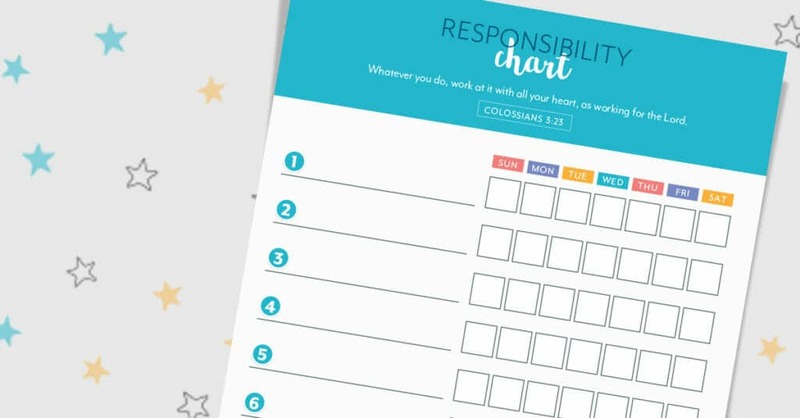 Fill out the printable chart below from Alpha Omega Publications with some tasks you and your child can decide on together and help your little one cultivate an appreciation for personal responsibility. Visit the Teach Them Diligently Marketplace for access to AOP materials and more! Parents love to buy toys for their children. A 2010 British study of 3,000 parents published in The Telegraph reported that parents averaged spending about $475 yearly on toys, while friends and other family members chipped in another $400 annually. As a result, the study concluded that while the average 10-year-old child owned 238 toys, only 12 were played with consistently. 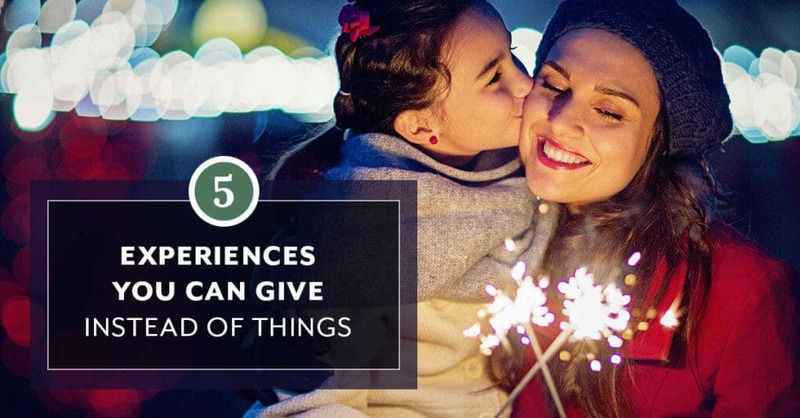 This year, in an attempt to avoid wasting your money (not to mention cutting down on the clutter accumulated in your home), Alpha Omega Publications invites you to consider these five experiences you can give instead of things. If your children are already involved in activities they’re passionate about, it might be hard to convince them that their fall soccer league or dance class is a gift, but the reality is that in most cases, those experiences aren’t cheap. Beyond the regular season or classes, however, there are usually lots of opportunities for extra summer camps. From coding clubs or pottery workshops to horseback riding or piano lessons, this gift could also be a wonderful opportunity for your child to do something new that they’ve been asking to try. What child isn’t excited to see his or her name on something when the mailbox is opened? Ignore the fact that the magazine you loved as a child or teenager has fewer issues today and find a subscription that fits your child’s interests. When the topic is right, sometimes a fun magazine can be the trick to reigniting a love for reading. 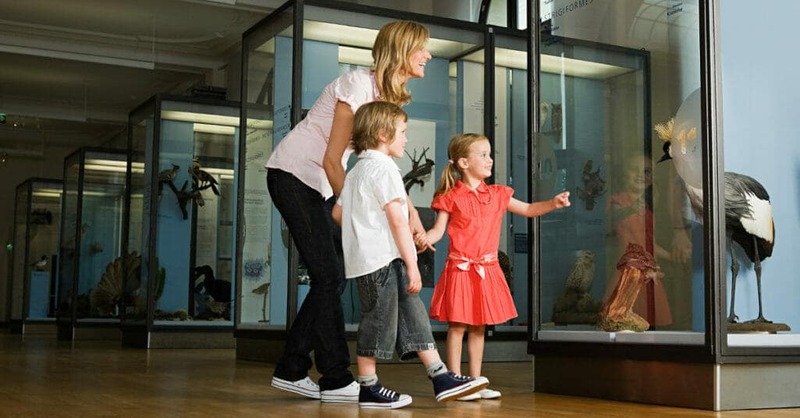 One-time visits to attractions or museums can quickly add up for a whole family, but often, only a couple extra visits can cover the price of a season or yearly pass. If it’s a place your children love to go, you can easily maximize savings while giving your child days of entertainment and possibly education as well. The reason vacations provide so many lasting memories for families is that you can experience so many new things together. However, hotels, food, travel, and tickets can all be costly. Find a fun way to reveal your next destination and watch the anticipation build for the upcoming family trip. On a lighter budget, purchase tickets for a concert of a favorite band or sports team in your city or closest metropolitan area. The larger your family size, the harder it can be to find one-on-one time with each child, but a gift card to your child’s favorite restaurant or smoothie shop can be a meaningful way to show that you value that time together. Then, be sure to block out time on your schedule to share some food together and catch up on life. Founded in 1977, Alpha Omega Publications is a leading provider of PreK-12 Christian curriculum, educational resources, and services to homeschool families worldwide. AOP follows its mission every day by creating and providing quality Christian educational materials to thousands of students through curriculum, support services, and an accredited online academy. Visit Alpha Omega Publications online or call 800-622.3070. Visit the Teach Them Diligently Marketplace for access to the AOP materials and more!